If you provide care for another person, whether you are a family member or a professional caregiver, you know that caregiving is hard, sometimes unappreciated work. But have you ever considered that it isn't easy to be the care receiver? "Caregiving is … about forming a relationship with another whom we might never have chosen to know. It is about doing all we do practically with the intention of growing into a relationship of respect, listening, presence, and truthfulness," Henri Nouwen writes. 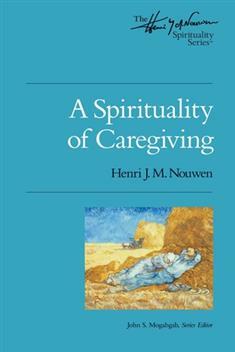 From the heart of Henri Nouwen comes wisdom for the caregiver about the transformational power of relationship in the unique bond between caregiver and care receiver. Interlacing stories from his own life and the lives of friends, Nouwen communicates warmth and compassion as he shares insights on what it means to be a caregiver and to be cared for. Whether you have chosen to be a caregiver or were thrust into the role by circumstances, you'll see how important and life-changing your work is. You'll also be encouraged by this beloved author who has been called one of the most influential spiritual writers of our time.